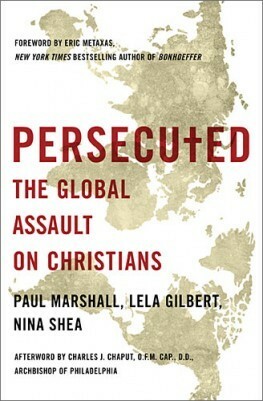 Christian persecution is on the rise throughout the Muslim world, and the United States is leading from behind on the issue, according to a panel that gathered at the Hudson Institute in Washington Wednesday to discuss the book, Persecuted: The Global Assault on Christians. The U.S. State Department and Western governments have been largely silent on the issue of Christian persecution because of political correctness and multiculturalism, panelists said. "If there is a hiker … abducted in Iran, the State Department has no hesitancy to come out and make a major issue of these cases, but it seems like when Christians are involved, they shy away, " said panelist Nina Shea. "It is found in both Republican and Democratic administrations." Panelists cited the case of Iranian-American pastor Saed Abedini, who was sentenced to eight years in prison in Iran, as an example of the State Department's failure to take action on its own when Christians are being persecuted. However, the State Department announced Wednesday that Secretary of State John Kerry had called on the Iranians to release Abedini after being pressured to do so by the American Center for Law and Justice and others. The Obama administration recently refused to send a representative to a hearing by the Tom Lantos Human Rights Commission two weeks ago to discuss Abedini's plight. Commission Chairman Rep. Frank Wolf, R-Va., slammed the administration in a release on March 20, saying that the State Department's failure to send a representative showed that religious freedom was not a priority of its foreign policy. Several State Department officials did meet with Abedini's wife and counsel that same day, however, so claims no one was available to appear at the hearing seem disingenuous, he wrote. "In short, the Department misled the commission and in doing so sent a dangerous message to rogue regimes the world over – even human rights abuses that compromise the safety and security of American citizens will be met with virtual silence from the U.S. government," Wolf wrote in his letter to Kerry. In Egypt, the Obama administration is asserting a moral equivalency between actions by government forces and the Coptic Christian minority, said Shea, director of Hudson's Center for Religious Freedom. She noted that the State Department failed to forcefully condemn the Egyptian government for sending tanks and bullets after Copts protested the burning of their churches in October 2011. The massacre left 24 Copts dead and 272 injured. "The U.S government put out a response condemning it and asking for both sides to refrain from further violence," Shea said. "Sam Tadros said in NRO at the time that I should tell the military to stand down and tell the Copts to stop dying." Moderator Eric Metaxis suggested that the Obama administration chose to throw the issue of religious freedom "under the bus" in the interest of greater peace. But this situation is just a recent manifestation of an increasing wave of radicalism that has swept the Muslim world over the past 10 to 15 years. Christians have found themselves subject to increasing persecution in places such as Indonesia and Senegal that were previously known for their tolerance of non-Muslims. "The Arab Spring had made things much worse, and it looks like it's not going to get any better," said panelist Lela Gilbert, a co-author of Persecuted: The Global Assault on Christians. Examples of Gilbert's point include recent attacks on Coptic churches in Libya, the sentencing of an Egyptian woman and her family to 15 years in prison for converting to Christianity, and a Fox News report Tuesday of an Egyptian mosque being used to torture Christians. Additionally, Shea criticized the Obama administration for not stopping the Karzai government from closing Afghanistan's last remaining church in 2010, making it the only country other than Saudi Arabia that doesn't have a church open in it. This event occurred as the U.S. troop surge into the country was on the upswing, and resulting in forcing American diplomats and contractors to worship in secret. "I attribute this to political correctness, to multiculturalism and an unwillingness to say that Christians are victims in that part of the world," Shea said. "It's trying to be nice … and I can't find any other explanation." Hudson Institute Senior Fellow Paul Marshall noted that the State Department takes a very different approach to confronting the persecution of Bahais in Iran. While it usually is quick to come to their defense, he said, for some reason it is reluctant to even acknowledge that the persecuted people are Christians. The United States doesn't seem to want to be seen as a Christian nation protecting Christians, Marshall said. "There seems to be a tendency to go easy on our friends and on people who want to be our friends," he said. "We seem to be more outspoken on Iran and less outspoken about Afghanistan and what goes on there." Islamic radicalization during the past 10 to 15 years has fueled much of the persecution of Christians throughout the Islamic world. Countries such as Indonesia and Senegal that had relatively tolerant Islamic populations have become more radical, and Christians have found themselves subject to persecution where they hadn't been before. Marshall dismissed the idea that Muslim radicals have targeted the United States in recent years because of its foreign policy. Instead he says that groups like al-Qaida target Americans because they view the U.S. as Christian. "How many mosques have been burned or attacked in Egypt?" Marshall asked. "To my knowledge zero, but large numbers of churches [have been]. "In terms of the clashes it's not a clash between two forces; it's Islamists versus the West, and Christians are one of the principle targets." You can view the panel discussion here. I have never accussed the U.S as being a Christian nation. This has been going on for quite some time, only more blatant, frequent and violent since the so called "Arab Spring" was welcomed by the clueless West as a move towards democracy in the Middle East. It was, as it has been for a long time, predicted by the so called "Islamophobes," a move towards the Islamization of the entire Middle East and beyond. Ultimately a global caliphate. The West remains clueless and the "Islamophobes" continue to be attacked from every corner, egged on by Muslim Brotherhood front groups that are heavily engaged and deeply rooted in Western society. I suspect, purely from considering the vagaries of human nature, that the majority in the West have been successfully programmed by these Islamic groups, CAIR, ISNA, MSA, MAS, etc. to join with them in their fanatical condemnation of all who are critical of any aspect of Islam or its roots or be vilified, reviled and labeled Islamophobes and likely dragged into court to defend themselves against charges of "racism, bigotry and hate speech." Some of Islam's and its prophet, Mohammad's critics have been murdered or forced into seclusion by Muslim members of the so called "religion of peace," an act encouraged and approved by the tenets of their faith. In more civilized, less indoctrinated climes the preferred tactic is "Lawfare," very expensive to confront, so potentially ruinous as to be very intimidating and if the Islamists ensconced in the West have their way, "Hate Speech," despite the 1st amendment guarantee of the freedom of speech, will in fact become the law of the land, perhaps globally if the United Nations gets its way. And that will be the West's ultimate downfall. This is a global movement to force civilization backward centuries to a time when these religious fanatics were powerful and comfortable in what can only be considered a theocratic, ignorant, male dominated society grounded in a religious text purported to be the immutable word of Allah, their version of God. They know they cannot win this unconventional war with the weaponry they've been able to extort from the West. Their strategy is to keep the West in its current state of stupor and denial until victory can be achieved without firing a shot where the response could result in their resounding defeat. Their success to date indicates that they do not see that this is not achievable. The West is being carefully groomed to cooperate and become an integral participant in their own defeat.